I was so excited to receive these L'Oreal EverPure Repair and Defend hair products in the mail a few weeks ago. Trying new shampoo and conditioner is always fun and let me tell you that I have not been disappointed. Have color treated hair that's damaged? No problem, these four products are for you! I've been using the shampoo and conditioner every other day for about two weeks now as well as the leave-in lotion on the days I wash my hair and the hair mask once a week. 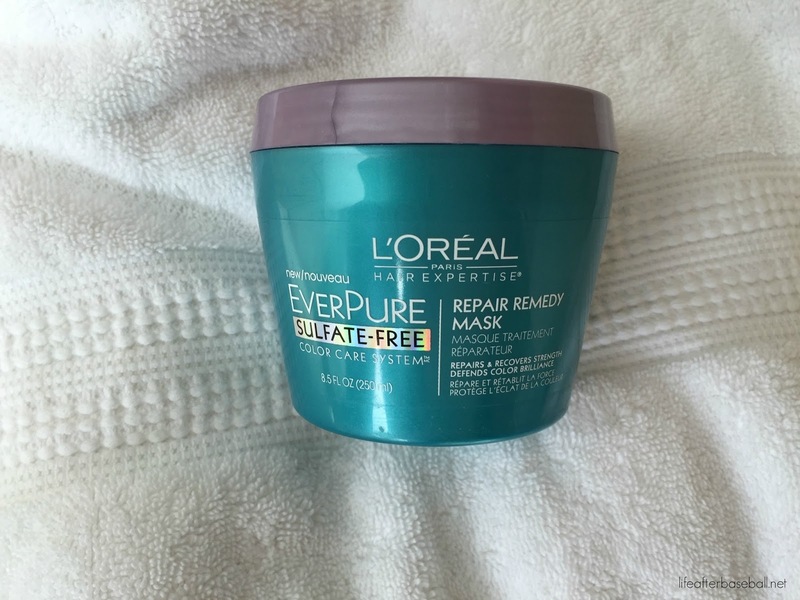 My hair is on the "fine" side and I find that these products hydrate my hair without weighing it down. Not only do they have a great scent, but they are inexpensive (definitely not $alon $$$) and I also love the fact that there are no parabens and sulfates. Truly the only negative thing I have to say is that the shampoo and conditioner are a little hard to close but I would definitely recommend this system for someone that has damaged, color treated hair. Glad to hear you think hey work as well as salon brands. Tired of shelling out money! Will have to give these a try! I don't have color treated hair but I have always liked Loreal products! !